Breitbart News sat down for an exclusive interview with the “Great One” Mark Levin, the bestselling author, former top advisor to members of President Reagan’s cabinet and nationally syndicated radio host who lights the torch as once did Paul Revere in the pivotal new book Plunder and Deceit: Big Government’s Exploitation of Young People and the Future. Over a thousand liberty-minded Americans gathered at the Ronald Reagan Presidential Library in Simi Valley, California a week ago Sunday to meet and take in Levin’s message as part of a nationwide book signing tour. In Plunder and Deceit Levin references the wise words of President George Washington to President Ronald Reagan, noting Reagan was the last time Americans had the opportunity to vote for a true conservative. “The whole point is the instrumentalities of government, even conservatives seem to believe that somehow they’re going to redesign themselves or reform themselves and become responsive to the people. “I mean they’re the problem. And same with their surrogates, whether it’s the media or academia or Hollywood and so forth. “What I did in this book is I got through all the platitudes and superficiality and really dug very deeply into these various issues that I write about. “I’m trying to get principles and arguments out there that aren’t generally provided to people. Even when conservatives talk about it, they’ll talk about it in very truncated formats, in very limited ways so I really enjoy talk radio and I’m able to reach millions and millions of people, but my books allow me to get more cerebral, to provide scholarship, to provide heavy research to get behind my arguments. “First of all I’m tired of the Left monopolizing the nomenclature of civil rights. “Big government is not civil rights. “A new civil rights movement would involve one that promotes individual liberty, the Constitution, national sovereignty, national security, and I argue that young people, after you’ve read the first ten chapters of the book, check out the last chapter, the eleventh chapter because if they do not stir themselves to their own defense, they’re going to face a calamity. 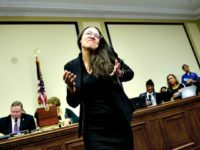 “Every chapter, whether it’s the debt, whether it’s entitlements, education, immigration, the phony environmental movement and so forth and so on, these are all deleterious to younger people under 40 or 45 years of age. They all funnel the Left agenda, the big government agenda through them. We’re talking about destroying the economy, our financial system, destroying our economic system, destroying our culture and destroying our Constitutional system. And that’s what the Left is all about, that’s what they mean by fundamental transformation. 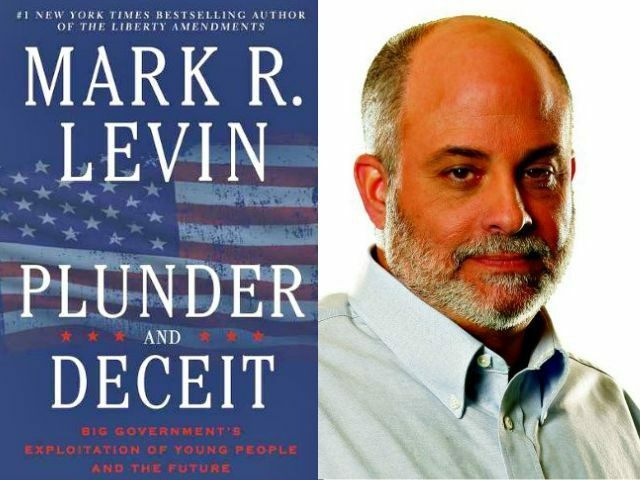 There are eleven chapters in Levin’s book: Plunder and Deceit, On the Debt, On Social Security, On Medicare and Obamacare, On Education, On Immigration, On the Environment, On the Minimum Wage, On National Security, On the Constitution and A New Civil Rights Movement. “I almost view them each as a separate pamphlet, about 20 pages each in plain English. Once you get past the first chapter you can move through and I tie each one of them to the younger generation and I explain to them how you’re being exploited, and how your future is being destroyed by big, all powerful, centralized government. Whether it’s 1.13 trillion dollars in student loans, what are you really getting for that? Now, although they’ve nationalized it, still it’s a huge problem. Pamphlet five “On Education” reads, “In 2011, over 62 percent of faculty members who teach full-time at undergraduate colleges and universities in America identified themselves as either “liberal” (50.3 percent) or “far left” (12.4 percent) on the political spectrum, up from about 56 percent in 2008” (when Obama was elected). As for the Right, “Conversely, only 11.5 percent of faculty surveyed (in 2011) self-identified as “conservative” and just .4 percent as “far right.”” This came as a downward trend from 15.2 percent “conservative” and .7% percent “far right” in 2008. “You even hear some conservatives say, you need to bring in more of these immigrants who have these high skills. You know they’ll say you’re right, high-tech, they call them STEM (Science, Technology, Engineering and Mathematics). And yet when you look at the real stats from the Census Bureau, you see almost a third of our graduates, American citizen graduates can’t get jobs in that field cause we’re importing people from other countries and the income is flat. It’s been flat for years. “The minimum wage, President surrounds himself with middle-aged people that talk about these people can’t live off that. Well fine, most people on the minimum wage are young people. It’s their first job, part-time job typically, unskilled, low-skilled and every time they drive up the minimum wage, the real scholarly studies show young people are put out of work, particularly in the inner cities. “I don’t know how we’re going to revive inner cities and get young minorities’ jobs if we keep driving up the minimum wage. And then paradoxically we drive up the minimum wage and then bring in illegal aliens who undercut the minimum wage. “Well first of all you need to start talking about it. You need to understand who your real – I would even say enemy is. Should people fight for liberty in California? “Americans, real Americans don’t just give up. “I’ve lived this. When I was 19 years old and in law school I ran for local office. I’m not saying everybody has to. I have spent my entire life, whether it was in law school running for local office, serving in the Reagan administration, subsequent to that in radio, now writing books, supporting the Tea Party and other things. “You have different roles in life depending where you are and your age and so forth and so on, but everybody even a little bit in their own life, whether it’s convincing a neighbor or young person around the dinner table. “We don’t need to be sanctioned by the RNC (Republican National Committee) or the media or anybody else. Just open your mouth, express the values of liberty, prosperity, Americanism. “I never sat in the back of the classroom and took this from professors or teachers. You can prudentially and civilly speak up. You don’t have to just sit there and regurgitate the usual left-wing pablum. So I’ve taught my kids, and others can do the same thing, that you do not have to be a punching bag for the Left and you should not be – it amazes me. “The Left gets away with everything. They burn down neighborhoods. You can look at Bernie Sanders they interfere when he’s giving a speech. We sit around and we’re so concerned that somebody might have a problem with us and I say this in the last chapter: rally, protest and sometimes you might actually have to disobey. Not like the Left, you don’t have to be violent and destructive, but sometimes no is a good answer. “You need to go buy and read my book. But you don’t need to buy a lot of them; maybe one family can get it or get it at the library. “I just want to get the message out there and there are only so many ways I can do it. I use every available tool I have whether it’s radio or TV, guest appearances or books. “And the truth is, when that last breath comes, I want to know I did what I had to do and I didn’t compromise my principles to accept the status quo. And I feel a lot of people need to be thinking about that too. We do not have to take this sitting down. “The destruction of our society is not inevitable, unless we surrender to it. Levin’s book is being sold through many outlets and is already garnering significant praise for detailing the Leviathan government’s aggressive assault on the future of those of us in the rising generation as well as the outlook for our children’s future if Americans don’t rise up and challenge the size and scope of our government overlords. Levin’s book signing events have and continue to draw overflow crowds. At Bookends Bookstore in Ridgewood, New Jersey Levin was said to have signed over 1,000 books. This past weekend’s signing at Barnes and Noble at Tysons Corner in Virginia saw similar crowds. The Reagan Library event sold out all 1,500 tickets in a record eleven minutes. His speech at the library can be viewed at the Ronald Reagan Presidential Foundation and Library website. Costco in Boca Raton, Florida will host Levin for a book signing on August 30 from 12:00-2:00pm. Book signing dates and locations, book reviews and Levin’s appearances and interviews can be found at the Mark Levin Show website. Special thanks go to Melissa Giller and the Ronald Reagan Presidential Foundation for their generous accommodation in facilitating this interview with Mark Levin and coverage of day’s events.